The slouch-hat mystique has great power in Australia. 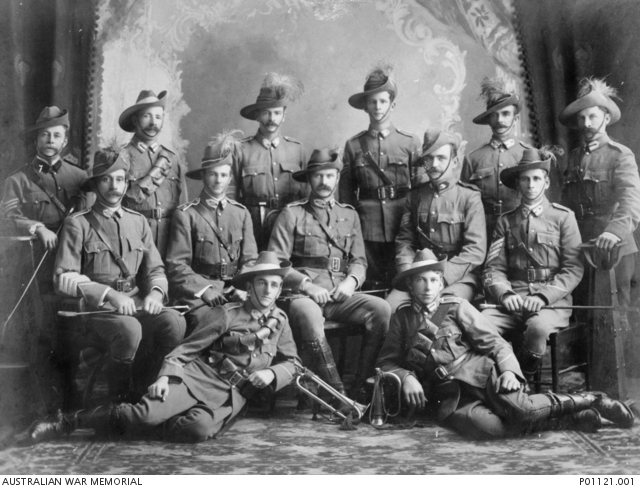 We’re about to salute a full-force expression of the slouch-hat aura as the centenary of Gallipoli commemorates the ANZAC creation moment. 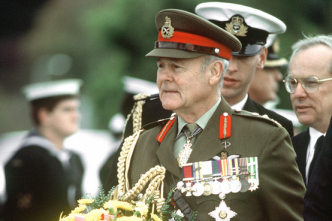 These columns on the Canberra officer—military leaders made to thrive in the Canberra system—need to discuss the power effects of ‘legend’ as the symbols and stories of history are a potent element of any politics. Tony Abbott got his symbols and his history wrong when he gave an Australian knighthood to the Queen’s husband. Yet the slouch-hat mystique is a sub-story of the Prime Minister’s ‘knightmare’. 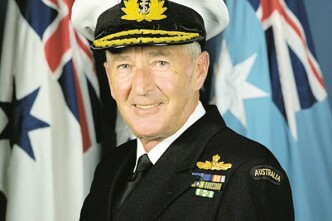 Abbott got grudging acceptance and praise for knighting two former Defence Force chiefs. 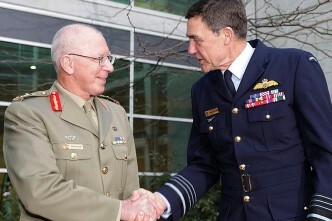 Sir Peter Cosgrove and Sir Angus Houston are great Australians and their standing reflects the role and reputation of the ADF they led. Abbot misunderstood. 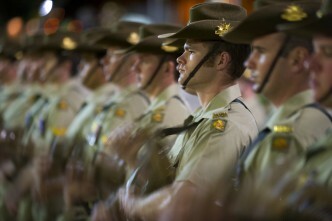 What he could give to the ADF he could not give to Prince Philip—in the eyes of the Oz polity and much of the public. Both sides of Australian politics talk like that. Abbott’s just as enthusiastic as his mentor, John Howard. Julia Gillard started her trek to become the 27th PM of Oz as an organiser for Socialist Forum, but lined up with the Libs in her embrace of the ADF. One expression of Gillard’s commitment was attending the funerals of 24 soldiers killed in Afghanistan—following the custom established by Howard. Our leaders channel their people. 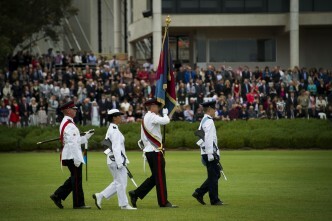 Surveying attitudes to Defence, Charles Miller concludes that ‘the men and women of Australia’s armed forces can take pride in the fact that they have more backing from their home society than almost any other military in the developed world’. Miller cites the 2005–2008 World Values Survey showing Australians are the most fervent in the Anglosphere in embracing their military: 84.7% of Australians had ‘great’ or ‘quite a lot’ of confidence in the ADF; US (82.8%), UK (78.6%), New Zealand (72.5) and Canada (72%). Constantly telling your military they’re special means they come to believe they are; no bad thing for a warrior ethos, but the mystique also works on the Canberra battleground. 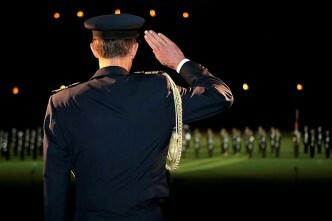 Compared to public servants, the profession of arms gives Canberra officers several layers of extra protection from politicians. It’s a lot harder to sack a top general than a top public servant. On taking office, Abbott dismissed three departmental secretaries and announced the Treasury secretary would go the same way within a year. 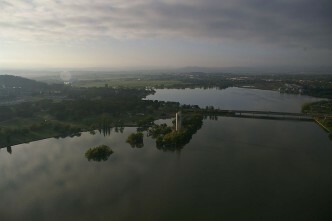 The executions galvanised Canberra but caused hardly a ripple in the rest of Oz. If the new leader had done the same thing to the CDF or one of the service chiefs, he’d have faced an avalanche of questions. The mystique means the PM’s sword can knight CDFs, but it’d be dangerous to use the sword in any other way. The single biggest challenge! When a politician calls for ‘accountability’ they’re attacking poor performance, but the Canberra code reads this as pressure on an institution that won’t do as it’s told. For the pollies, the mystique has problems as well as its many uses. To see the Canberra officer effect in action, come to a Parliamentary committee room as Labor’s shadow Defence Minister, Stephen Conroy, accuses a senior military officer of being part of a ‘political cover-up’. Conroy’s attack on Lieutenant-General Angus Campbell, head of Operation Sovereign Borders, was a blunder and Conroy had to apologise. Senators regularly monster public servants; it’s power expressed as sport. Uniforms, though, require more respectful treatment. Conroy was rude and his motives questionable, but his accusation was half right. Campbell and his fellow officers are not intentional agents in a cover-up, but there is no doubt that the government is hiding behind the military’s near-immunity from public criticism to deflect public scrutiny of Operation Sovereign Borders. It is not good for democracy to hold the military beyond criticism. It is not even good for the military, for it discourages the robust criticism needed for it to remain at its best. Near immunity from public criticism? There’s a mystique with power.